Applied Engineering and Manufacturing | Connecticut Center for Advanced Technology, Inc.
CCAT’s technology experts provide applied engineering and manufacturing services as well as project planning and management in the areas of aerospace, medical and commercial manufacturing, and energy solutions. 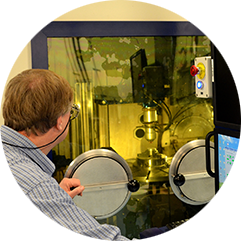 Experience working with aerospace alloys, refractory metals, polymer/organic matrix composites, ceramics, and ceramic matrix composites. Creative approaches to engineering and manufacturing projects using cutting-edge technologies and software. Expert analyses on product performance. CCAT plays a leadership role in major U.S. Air Force projects to improve manufacturing processes and the quality of aerospace parts. 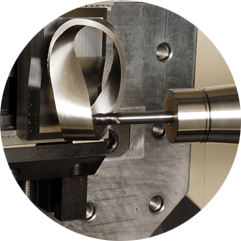 Machining optimization for parts made of aerospace alloys, refractory metals, ceramics, and fiber reinforced composites under a five-year, U.S. Air Force Research Laboratory project. 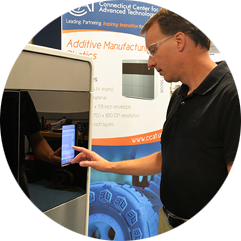 Improving the quality of aerospace alloy parts produced with metal powder additive manufacturing for America Makes, one of eight National Networks for Manufacturing Innovation. We work with team partners United Technologies Research Center and the University of Connecticut, to build and analyze hundreds of test specimens. 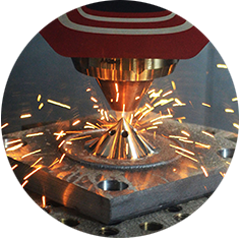 Streamlining metrology/structured light scanning inspection systems for the U.S. aerospace supply chain to ensure delivery of perfect parts on time and within budget.